Oh My Goodness….. I feel like we have saved the best for last! 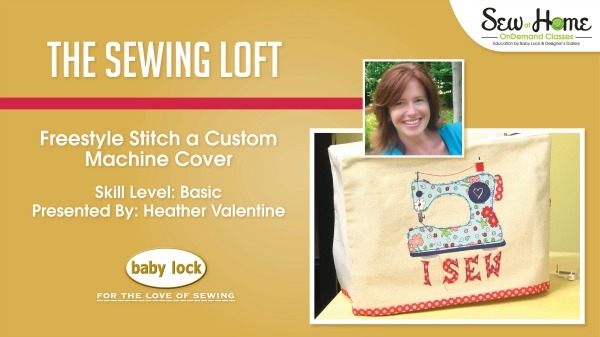 Today is the final project in this Baby Lock Sew at Home video series and boy, oh boy, it’s a goodie. We are making a sewing machine cover! 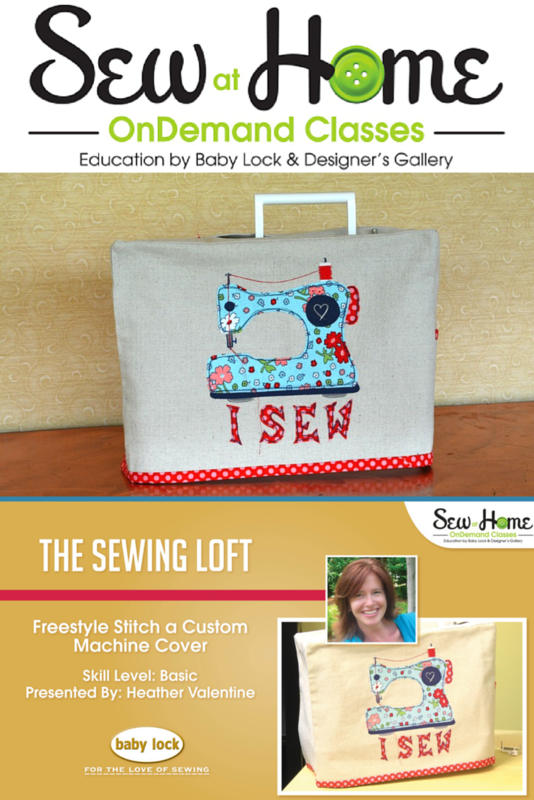 During class, I will share one of my favorite out of the box materials, demonstrate just how easy it is to layer details onto any applique with free motion stitching and add whimsical details to the sewing machine cover. This has to be one of my favorite projects of the series! How about a quick look-see at what we will cover in class. I hope you will join me today and learn just how easy it is to add free motion embroidery stitching to any project. Let’s become better sewers this year by learning how special accessories like the free motion foot can showcase our talents. 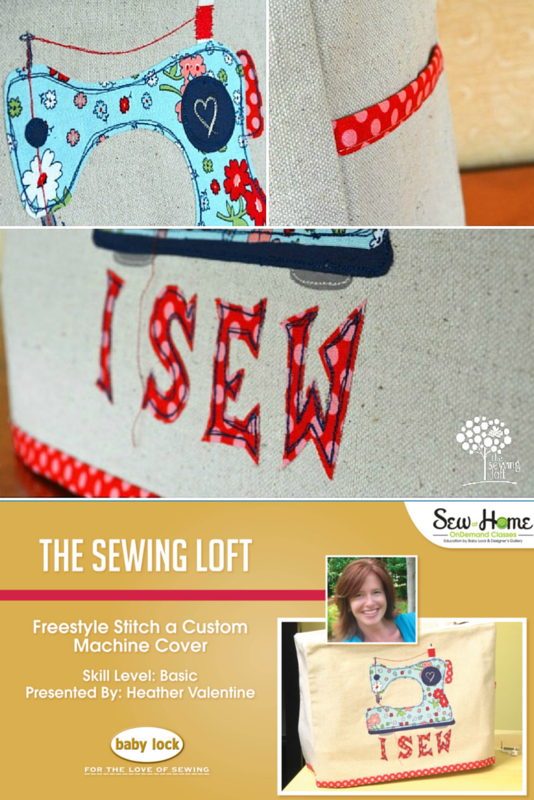 Come stitch with me and make this Sewing Machine Cover. 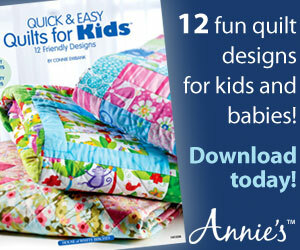 Click here to download the pattern watch the class for free today. 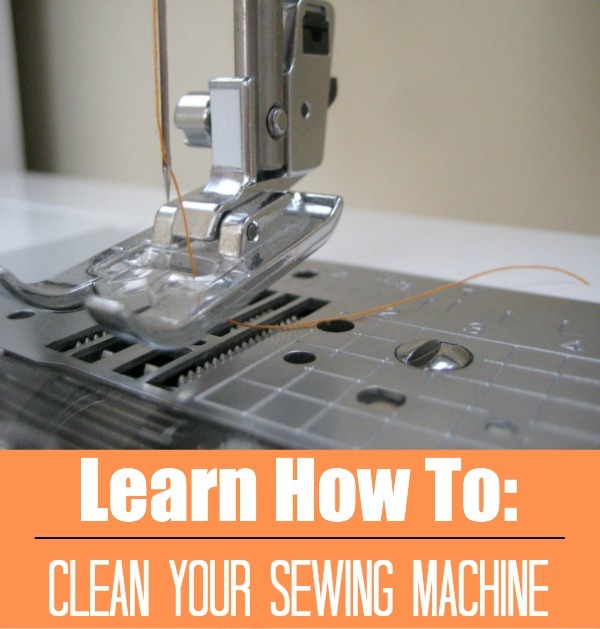 And once your machine cover is made- give your a quick clean up and keep her looking pretty with this easy how to! Don’t forget, you can see all of my free videos in this series here. Heather — I really like this project! I purchased the new Destiny and extended warranty, so I have access to all on-demand classes. So wonderful to see you on this series!! Oh … I’ve never done free-motion anything, but you’ve inspired me!! You must be loving that dreamy machine Brenda!! Free motion stitching is very easy. You just need to let go of the fear and dive right in. Please note that the Destiny is SO much bigger that Rachel so, you will need to adjust the measurements for your machine cover. Keep me posted, I want to see pictures when finished!! 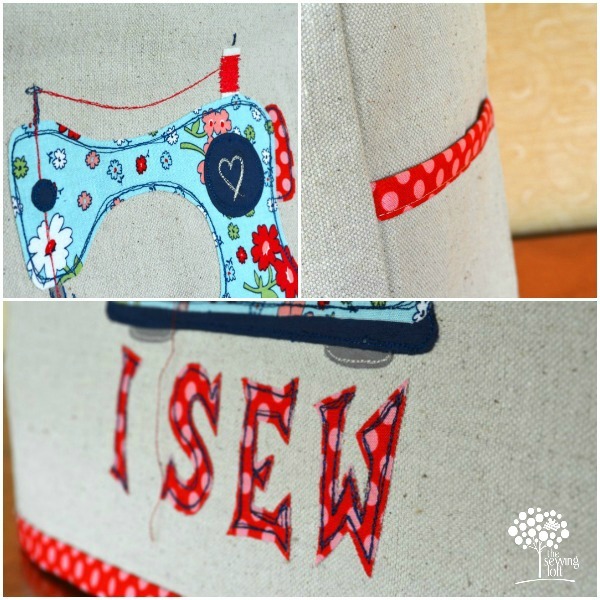 I love your sewing machine applique! It would be so cool on a t-shirt or tote bag, or so many different things. Thank you! I actually made one into a tote bag for my secret sister swap at Sew South. Personally, I LOVE the way it turned out and so wanted to keep it. I guess that means I need to make another one just for me. Super cute!! Love love this. Yeahhhhhh! 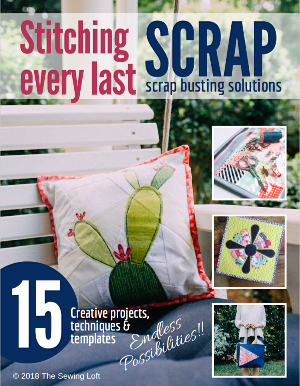 So glad to see this, I love it and will definitely be making one for my machine Heather. However, I really think you need to come to Michigan to personally show me how to do some free motion. :o) Miss you!! Gosh- wouldn’t that be fun Karen! I’d love it for sure!! Love this but I cannot download it. I have been over to the Sew at Home site and jumped thru all their hoops to order it, but cannot for the life of me figure out how to download the pattern! OK, I finally got it figured out but not exactly a user friendly site, especially if the company wants to impress future BabyLock owners. I live in a hilltown and had to chose a dealer (what??) and 100 miles away(again, what??) Well, I did chose but that visit will never happen! Guess I’ll be sticking with my trusty Janome machines, and no problems with navigating their web site for those of us who do not live close to any machine dealers.. But I do like your pattern and video, very cute, very handy. Sorry to hear you had trouble Brenda but glad you got it sorted out. I understand not having a local dealer in my backyard. Since moving my local shop is pretty far but I love them and always do my best to stop in for a visit. Can’t wait to see what your cover looks like!